You’re living the dream. You’re in a band and they’re about to go on tour. 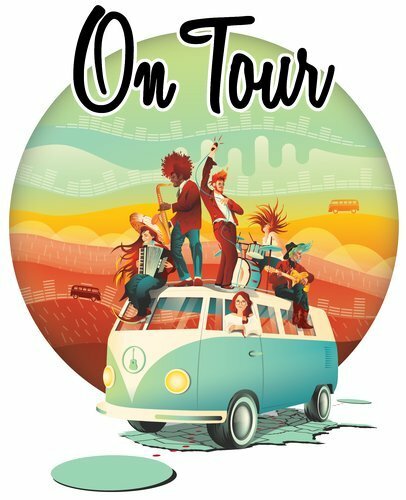 It’s your job to schedule the band’s stops over your 100-day tour, visiting as many states as possible. 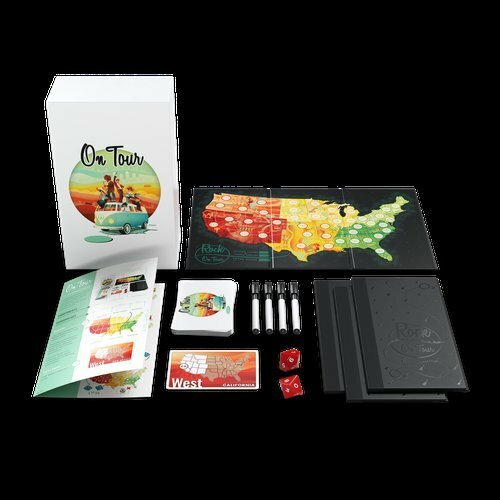 Each turn two ten-sided dice are rolled to make two 2-digit numbers. For example, a roll of 3 and 7 creates the numbers 37 and 73. All players write each of those numbers in a state on their map. The regions they can write in are restricted by three cards turned up in the middle of the table. 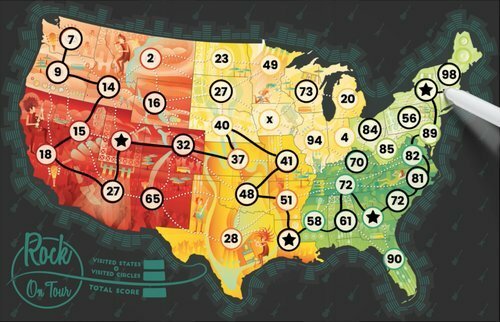 At the end of the game, each player draws a route on their map, starting with a low number and visiting adjacent states with higher and higher numbers. Players get a point for every state they visit. There are also some bonus points available, a way to get wilds, and a variable setup step that makes every game different.